1 Using a sharp knife, gently cut into the fish making 8 diagonal cuts on each side. Place the leaves into the cuts. 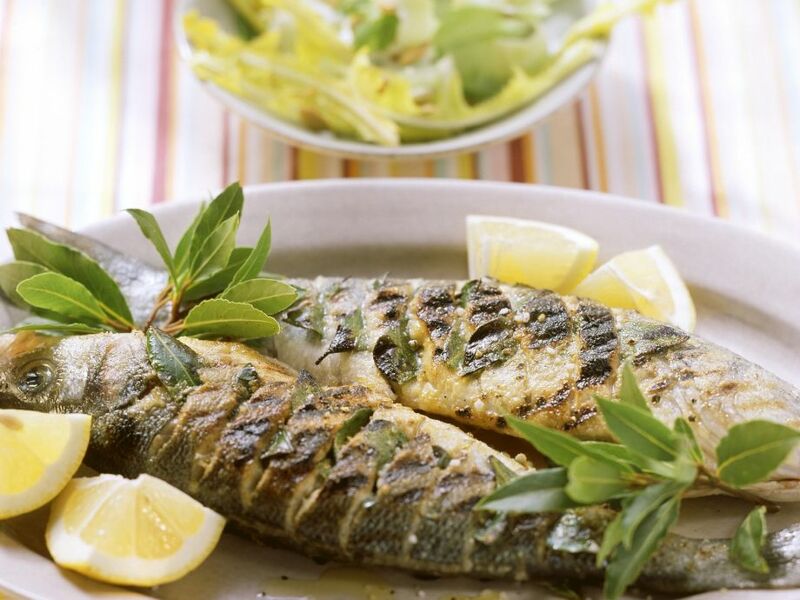 2 Brush the fish with oil, season with salt and pepper and place on a grill (alternatively use a fish grilling basket). 3 Grill slowly at a low heat for approx. 8–10 minutes on each side, turning occasionally. 4 Serve with lemon slices.